As the Academy has evolved and knowledge of the unifying “whole body” concepts of biological medicine has expanded, the need for recognizing training and expertise has become more pressing. Our credentialing system insures that our members are recognized at a level commensurate with their training and expertise. 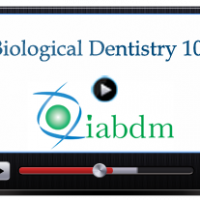 This credentialing speaks volumes to the world as we take the lead in the field of biological dentistry and medicine. Certification programs are currently available for registered dental hygienists (RDH) and dentists. Credentialing confers a recognized level of achievement based on a variety of criteria. Hierarchical achievement levels further recognize the efforts of our members who continue to add to their knowledge base and surgical skills: Certified, Fellow and Master. Certification consists of research, reading and two examinations, one written and one oral. The oral exam is given after completion of the written exam and includes a case presentation. The basics of mercury removal, including proper patient and personnel protection, and the operatory/surgery environment for limiting exposure to mercury both during and after the procedure. Restoration of the dentition with materials that have been shown to be the most biologically compatible. For additional preparation for the exam, we have compiled a recommended library of videos. Click here to view the recommended list. For the case presentation, the candidate will submit before/after and pre-op radiographic images at least 48 hours before their presentation. Word, Powerpoint or standard image formats (e.g., .jpg, .gif, .bmp, .png) are acceptable. Your protocol for safe amalgam removal. Any prep care you provide your patient. Health benefits that may have been attributable to the removal process. Requirements: IABDM Membership, Present a case study, research project or peer reviewed article and complete 4 hours of community service. Dentists and physicians who are “Certified members” in good standing will be eligible. Requirements: IABDM Membership, Two more case studies plus proof of lecture experience. This will help establish you as a teacher – one we would be proud to claim and help share the word. Dentists and physicians who are “Fellowship members” in good standing will be eligible. 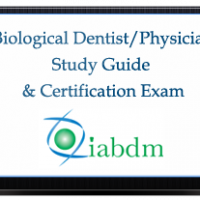 To maintain certification, you must stay current on your dues, show proof of at least 12 hours CE per year (in biological dentistry or medicine) and attend at least one IABDM conference every 2 years. The test fee for Basic Certification is $750. While we strongly encourage attendance at our meeting in the days leading up to the written test date, it is not required. For advanced certification, the test fees are $500 for a Fellowship and $1000 for a Mastership. To apply for advanced certification, download, complete and submit the form below to IABDM Executive Director Dr. Dawn Ewing.